* Create, edit, and delete downloads file information on admin panel. 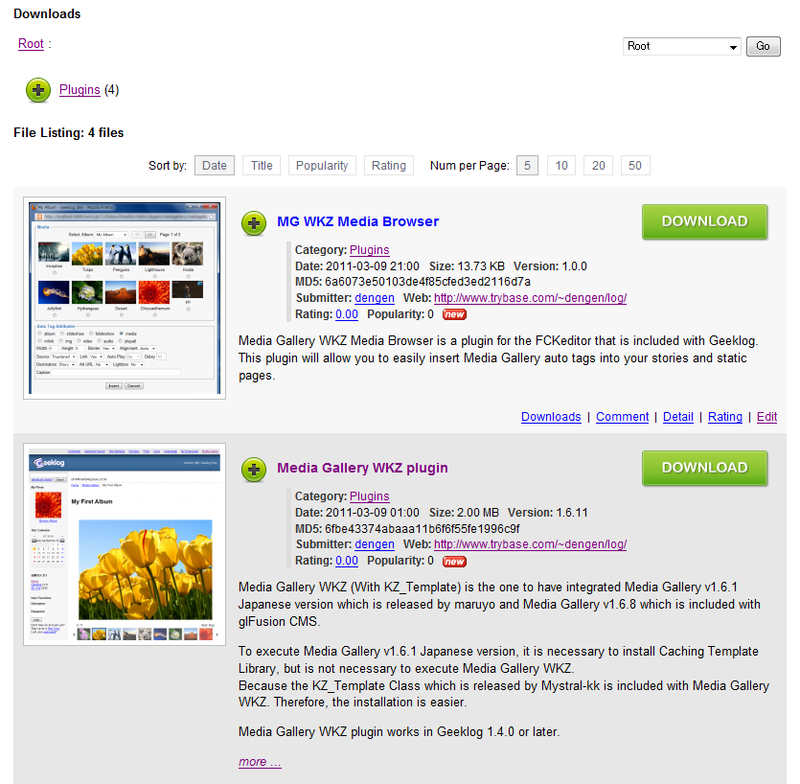 * Download file can be classified in multi-level category. 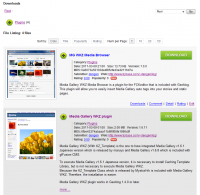 * The description and details of file can be expressed freely using HTML text. * Like the story you can edit using the Advanced Editor. * Downloads plugin works in Geeklog 2.1.2 or later. * Currently, only MySQL database support.